Twitter double click this picture - how does it work? Patrick Coombe / Blog / Twitter double click this picture – how does it work? Twitter double click this picture – how does it work? 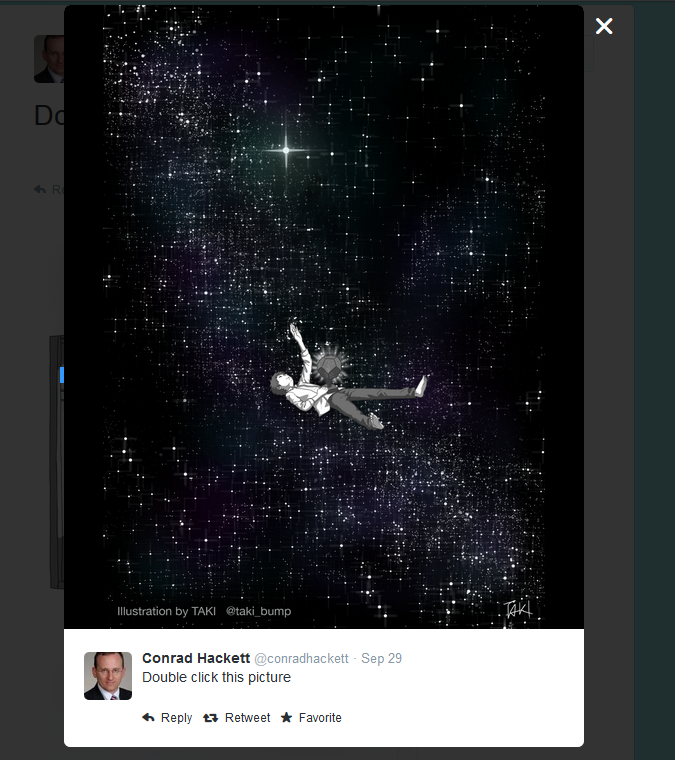 The tweet plays a bit of a mind trick by asking the user to double click the picture. 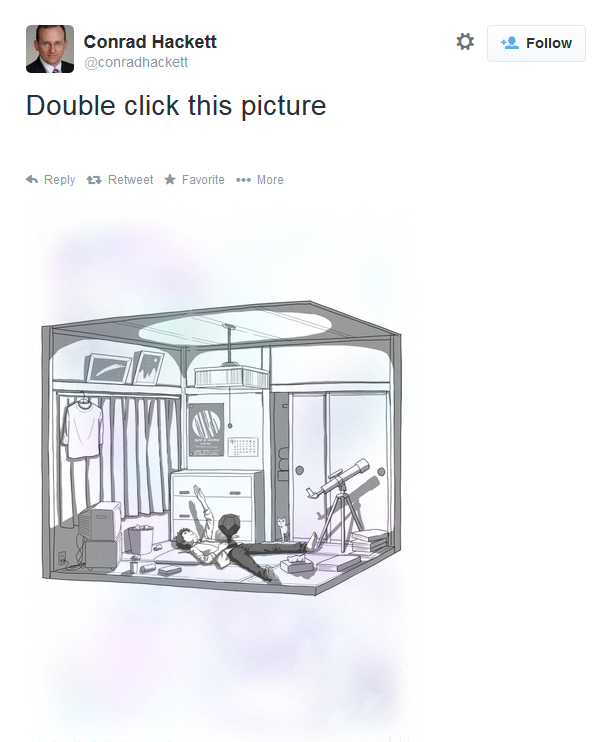 Upon looking at the “first” photo, it appears to be a white and grey illustration of a kid laying in his bedroom. I must say, this is a nifty trick. It uses an extremely simple technology but uses advanced photo illustration techniques. You see, when a photo is double clicked within Twitter, it is opened up within an overlay that uses a darker background than the one on Twitter’s timeline. The photo takes advantage of this by using contrasting colors. That is basically it! I tested this by opening the PNG up in Photoshop, dropping a transparent layer below the photo, and filling it with black. Image credit goes to TAKI.